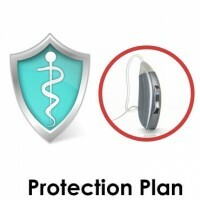 High performance hearing aid for severe hearing loss. FDA approved. Deal: Save 10% On A Pair! 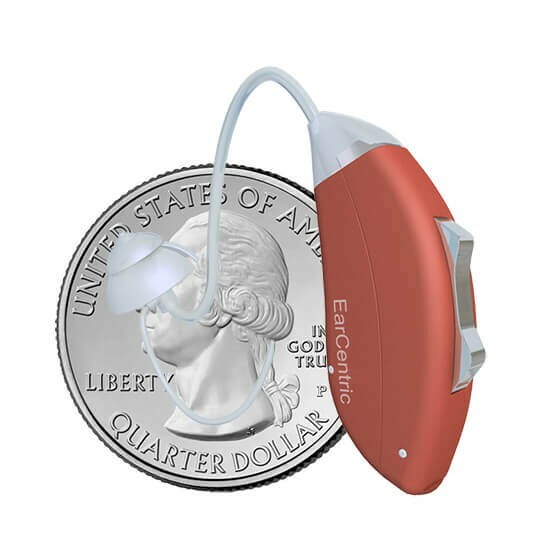 Designed by audiologists to help 95% of the most common hearing issue, the EarCentric™ SMART hearing aid is specifically created to provide you with full control of your hearing while simplifying tedious traditional fitting processes. Combining the same digital technology as much more costly devices with universal pre-programmed settings, the SMART mini BTE can help you enjoy all the sounds you've been missing, in both quiet and especially noisy situations, all with a simple click. With an intelligent 12-band digital sound processing core, EarCentric™ SMART identify sound pattern on real time, selectively recognize and amplify high-frequency sound associated with human speech; Its 10-band layered noise reduction algorithm reduces unwanted background noise. SMART comes with telecoil (t-switch) to wirelessly stream sound in compatible theaters, auditoriums, as well as telephone conversation. Compatible with smart phones and traditional landline. 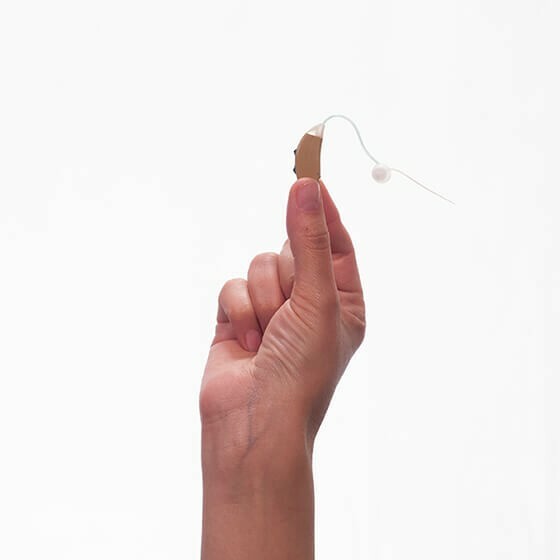 The miniature size of the behind-the-ear (BTE) hearing aid is a lightweight, medical-grade design and construction. The tiny body provides a comfortable, secure fit and accentuates the premium sound quality. 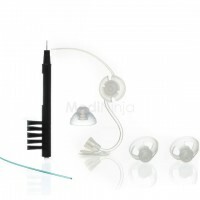 The unique ear domes, combining open fit comfort and closed tip reliability, allow natural sounds to pass through without being amplified, leave your ear canal unblocked, eliminate any "tunnel" or "echoing" sensations, and minimize occlusion (hearing the sound of your own voice louder than you are normally used to). I couldn't believe how much I could hear and how much more comfortable I was in social settings now. Work is much better too! I can hear people clearly and don't seem like the "deaf old guy" any more. My wife will be much happier to know that I can turn the radio in the car down to a normal level and still hear it. Before, she would complain about headaches from the noise. Annoying feedback or whistling noises are a common side effect with hearing aids. 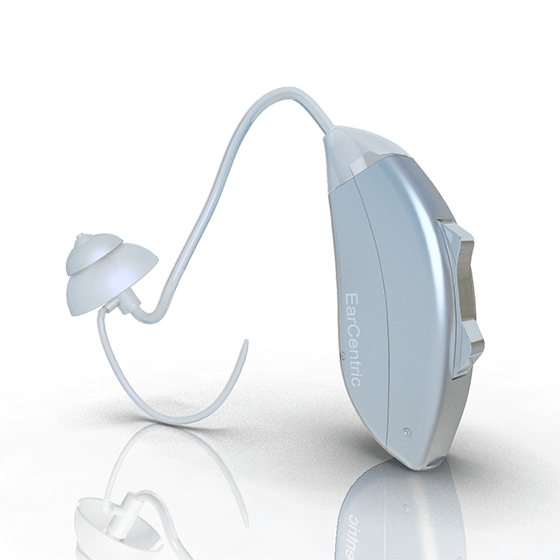 As soon as you place the thin tube in your ear canal, the EarCentric SMART BTE's automatic feedback cancellation system will protect against feedback. An adaptive noise reduction system improves the hearing comfort in noisy environments. All sounds are not amplified equally. 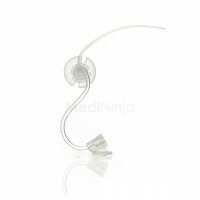 SMART Mini BTE hearing aid provides 10 bands of layered noise reduction, reconstructing natural sound and human voices by eliminating undesired noise while retaining the richness of nature Hi-Fi. Multi-channel compression allows the appropriate amount of compression to be applied at different frequencies. It improves the audibility of soft speech sounds by applying more gain (or amplification) to soft sounds. On the other hand, loud sounds, which may be uncomfortable, are reduced. SMART hearing aids selectively boost the low-level, high-frequency sounds associated with human speech recognition. With WDRC compression, the hearing aid wearer may find that many low-level environmental noises such as air conditioners, fridges and computer noises are now audible to them. With digital expansion processing, the SMART BTE suppresses these noises to minimal levels. 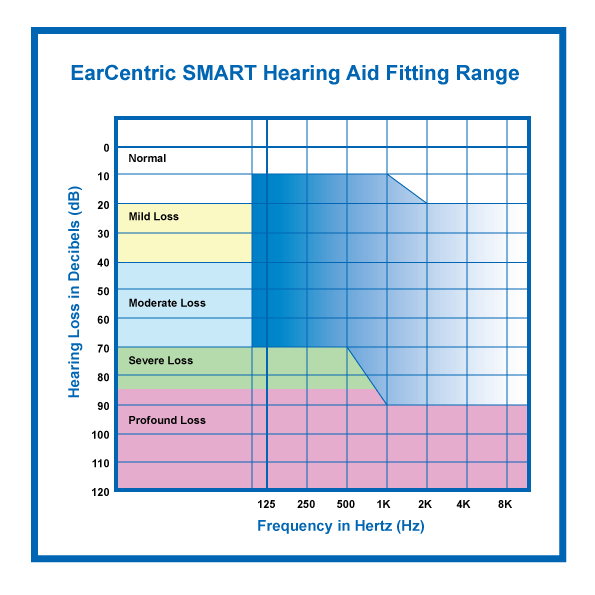 Generally speaking, for flat or slightly sloping hearing loss, 4 bands provide adequate flexibility for frequency shaping; however, for steeply sloping losses, a greater number of adjustment bands is required. The SMART hearing aid comes with 12 adjustment bands to improve matched target sound amplification while preventing the occurrence of feedback. Discreet and transparent thin ear tubes do not interfere with eyeglasses, provide perfect and safe fitting for all ages including children. Sound is always on! The EarCentric SMART will detect low battery condition and provide a low battery warning signal. A warning signal will sound every 10 minutes, indicating that the battery needs to be replaced to avoid poor performance and device failure. 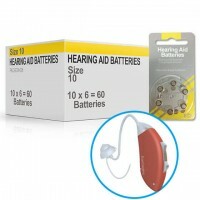 Uses size #10 hearing aid battery. 5-7 days battery life for normal use based on 8-10 hours each day. The device is really very small - this is to tell to all those who might want to know the size of the device. The only thing I can see is the wire that connects the aids to the ear. Still, it's really small and clear. The aids fit behind the ear and are very small. HAHA, I am bald, so there is nothing to hide. But these are not much noticeable if you have hair. The aids are working great. I had irritated my wife a lot with so many repeated words like hmm's, what's, but's and I didn't hear you're since many years. These aids have solved all my life's problem. I can watch TV peacefully again. I didn't take much time in getting used to them. I am still exploring the four hearing programs. It’s been a couple of weeks, that I am using this affordable aids. One thing I cherish the most now is when my wife asks me to turn up the volume of the television. One thing that I am still learning is the arrangement and adjustment of settings to make for different situations like when the A/C is on, hearing my own footsteps, birds, conversations and even the voice of forks on plates in the restaurants. I can hear really well now. The thing that surprises me the most is when my wife asks me, “what did the reporter say about the forecast?” on the news channel. I could also use it while diving into the pool and to my surprise it worked just fine the next day. I don’t claim that it is as perfect as the $3000 one that my neighbors use, but for $350, it is pretty perfect for me. Not only it is affordable but also offers perks like ‘a year’s supply of batteries for $15’. The first battery change is needed to be done on the 13th day of usage. I didn't realize my hearing was getting worst. My wife asked me to try the hearing aids number of times but I turn up the TV volume every time. I didn't realize how bad my behavior had become to friends and family. When I finally decided to give them a try, I was shocked after seeing the prices of hearing aids. The price range was $2000 to $8000 for a pair, While as per my friend's reviews we should change them after every 3 years of time period. That was too much. Earcentric hearing aids is none among them. 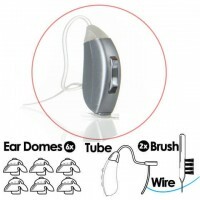 The price is around 10 to 20% of professional FDA approved hearing aids and they work great so far. I can understand the people pain now. In a noisy environment, I sometimes get so much irritated of asking people to repeat themselves, half of the time I just nod and smile without knowing what was said. I am still trying to get used to them but even that has gone smoother and quicker than expected. With time, I have come to know that I have to remove them while driving tractor or while using an electric toothbrush as I don't need to intensify nuisance noise. After few days of paining ears, comfort level has reached to the point I forget their presence in my ears. It has four programs. I mostly use program 1 which intensifies everything and program 2 in restaurants. I am so happy I made the decision of buying these aids after reading so many reviews on it as I have severe hearing loss. I was doubtful what if these hearing aids would also not work as of my $8000 worth previous hearing aids which finally damaged after warranty. I couldn't be much happier. These are not that much great but I couldn't resist my self in buying this because it has number of advantages. It offers a number of extras like volume control feature, I can make number of adjustments, et.al. I am so happy in replacing my old expensive hearing aids worth $8000 with my new earcentric hearing aids. Is there an option for an open dome as opposed to only the closed dome? We have variety of ear domes with different size and style. we have closed-tip, open-fit, and hybrid style (combining open-fit and closed-tip feature). This hearing aid comes with 2 sizes of hybrid ear domes (small and regular). If you prefer other style, please let us know so that we can send different domes for you to try. 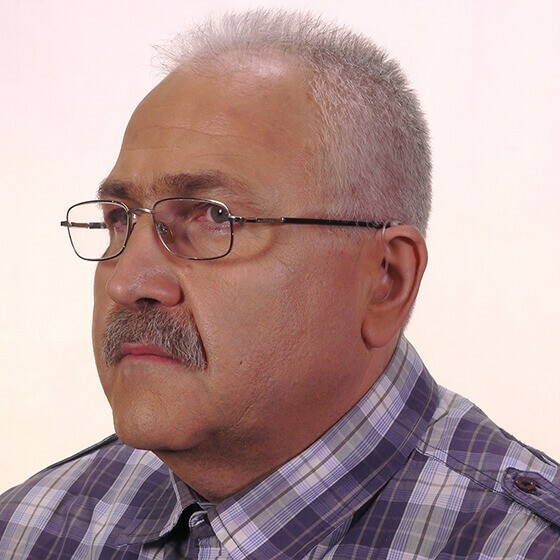 Our goal is to find you the best pair for your hearing loss and comfort. Does this use rechargeable battery and how long the battery last. 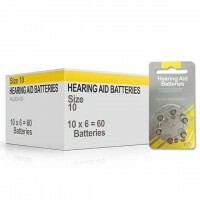 Yes, you can use rechargeable batteries in your hearing aid. but why not try our rechargeable hearing aid instead? It comes with built-in lithium polymer rechargeable battery (just like your cell phone battery) and a free charger. No need to buy batteries. 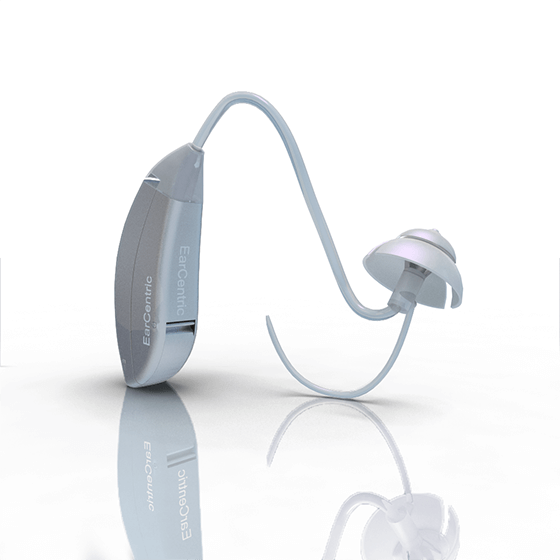 It can provide 20 hours of non-stop hearing within a simple charge of 3 hours. What are the dimensions of this BTE hearing aid? I wear glasses and do not want a bulky device. Is this is 12 Channel hearing aid? If not, do you recommend/have one? This is not a 12-channel hearing aid, but it has 12-band digital sound processing core with 10-band layered noise reduction. Based on a research conducted by Starkey, 4-channel hearing aids are the best value in terms of hearing experience and cost. Do these hearing aids come with a remote control or do you control them with the over the ear piece. SMART mini BTE hearing aid does NOT have a remote control. It uses on-device rocker volume control to switch between listening program as well adjusting amplification volume for each preset. What is the frequency range the device can boost? Do you have any other devices that reach or exceed 8kHz? Our digital hearing aids can boost between 125 Hz up to 8K. they are designed for everyday usage for majority of people, not special purpose hearing aids for musician who may need very high frequency amplification. These aids have improved my hearing. And I have tinnitus and hearing loss that too high frequency. It has four programs and out of those one program intensifies the higher frequencies. I can enjoy my TV once again. Before using this, I have also tried in the canal hearing aids and found them very uncomfortable and not at all effective. I recommend these who really wish to improve their hearing. Hi Shela! We are so glad that our hearing aids help! Our hearing aids come with warranty and support. Please contact us anytime for assistance. I like these hearing aids. Yes, pros are more than cons. My hearing has improved using these aids. But I don’t know why it will start leaving high-pitched squeals, even several in a row. I don't know the reason yet. Sometimes I am sitting idol and it starts. The noise level doesn't change at all. Sometimes I take them out because the squeals hurt. Normally, It happens in car while driving. I tried calling the customer representative to fix these problems. I still love the prodcut as it has improved my hearing a lot. Thank you for giving us the opportunity to serve you. Squealing happens if the dome is so soft. There shouldn't be any gap between the ear lining and the dome's hood. Please try to change the dome and see if there's any progress. Kindly check the dome as well if there's any tear or discoloration. Please clean the tube as well. Generally speaking, squealing happens when a user doesn't fit the tube or domes well in his/her ear canal. If you need assistance, don't hesitate to call us. I ordered one hearing aid for the left ear, just to make sure if this works or not for your ears. In a week time, I ordered for another ear too. These have impressed me a lot. These aids work great but you need to work a bit with them and explore them. I had some issues with the device that I was able to solve after doing some adjustments. It is great to be able to listen to discussions especially, in meetings where previously I used to miss everything. Gone are the days when I have to repeat myself the number of times. After reading so many reviews online, I purchased the earcentric hearing aids. My main concern is background noise, I felt so bad at parties, hotels, social gatherings etc. My age is 65 and my audiologist said that I had a minor hearing loss but I think I have major hearing loss. Its been two days only and these have started working for me. I personally use it for background noise and low level volume. I will be updating the real view really soon after attending the one dance band performance. Meanwhile, I am ordering one for my husband. I will try to update the review in few weeks. Hi Emeline! We are so glad that our (name of the product) hearing aids help! Our hearing aids come with warranty and support. Please contact us anytime for assistance. I loved these hearing aids. These are the keepers. Do one thing, don't waste much of your money on high premium hearing aids and go for them. These are seriously amazing. Thanks! We are glad that your hearing aids work fantastic! For maximum battery life, we suggest to wait 1 to 3 minutes after removing the yellow pull-tab before installing the battery into the device. If you need assistance, we are always here to help. I bought this for my Dad. The device is very easy to set up. Only take 5-10 minutes after watching the instruction video. The rocker switch is very easy to use. He hears better now. On the other hand, he feels sometimes, it is sensitive to wind noise. Overall, Wonderful product! Works perfectly. Hi Melissa! We are so glad that our Smart hearing aids help with your Dad! Our hearing aids come with warranty and support. Please contact us anytime for assistance. UPDATED REVIEW: I accidentally stripped the locking nub on the second tube so it started falling out, but the company replaced it for free. I have been using it since March and can claim that this device works as good as a hearing aid I had paid $3000+ a few years ago. Battery needs to be changed every 8 1 / 2 days. I have a hearing loss of 70% in my left ear. I had purchased a $3000 hearing aid and was unsatisfied with it. I went to the hearing aid store number of times once I paid for it and they denied to help. 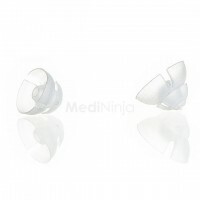 I researched online and purchased earcentric hearing aids from Medininja at an affordable price. When i received them they didn't work well so I called the customer number and the their representative told me to change to the longer tube amd the solid earpiece. The device works amazing, far better than the expensive unit. I can control the volume as per my need, it can be cleaned easily, and battery lasts for one week. Thanks for this model. I was concerned about the life of the air-zinc batteries but thankfully the batteries last almost a week. Thanks for the product! I am not a reviewer but I yeah I am the person who purchases online after reading the reviews. I have received these earcentric hearing aids one month ago. They have completely changed my life. I had minor hearing loss that has become more prominent with time which had been becoming a major issue for me at work and at home too. These hearing aids work tremendously great. It has variety of settings to play with to make it work for you. The sound quality is great, these are comfortable, and visually discreet. I can't even feel their presence sometimes. The battery life is also amazing; it lasts for a week. It has a telephone mode too. Overall, an amazing product. I have been using earcentric hearing aids since four months. This is an amazing product at an affordable price. And the customer service is outstanding. One day, I had a problem with the left unit than I contacted their customer service and explained the problem to the main person. They gave an easy intructions on how to return the product and within a few days I got a new unit to exchange the old one. Earcentric hearing aids is worth 5 star rating. Thanks a lot Medininja. I have adjusted them according to smallest closed ear tips to eradicate the small voice of whistling I first heard when I started using them. Moreover, It has four hearing channels or I should say four hearing programs. I don't need to go back to my old expensive hearing aids. These hearing aids are good. I am hoping to get more comfortable with these aids. I would highly recommend these aids to those who can't afford highly expensive hearing aids available in the market. It has 5 hearing channels or programs. It has a telecoil (telephone mode) too. Great device! We are glad that your hearing aids perfectly fit your hearing needs. Always protect your device, handle it with care when changing batteries or replacing ear tube and domes, DO NOT DROP. We ordered these for my mother in law who has lost almost all her hearing and she didn't like the $1800 hearing aids given by her doctor. These aids are working well after some adjustments and she found them comfortable too. Yup, it took around 25 days to settle accompanying some headaches and sensitivity in the ear. Try your hands on different sized ear pieces as the size helps stop back near sounds but also very large aids causes pain in the ear canal. Don't forget to read the instructional manuals and watch the pre programmed setups. At last I would say its a good unit and would definitely recommend giving them a try. I have purchased these Earcentric hearing aids second time. Firstly, I ordered one for my right ear as my right ear is more weak then I decided to order for my left ear too. The sound quality of this smart device is amazing and it works as great as other expensive hearing aids. The best part about them is that the device has the telecoil. I was a very old Medininja client, and, one of my hearings aids got failed after 4+ years of smooth use. Hearing team suggested me that the device could not be repaired no as they don’t have the older parts. That was quite disappointing for me. But then they have offered me a great replacement stating that the new device will have many new features in the near future. So, I couldn’t deny the offer. Yesterday, I received my new Earcentric Smart Mini BTE hearing aids and these are more advanced than the earlier technology. I was sad about the failure of my last hearing aids and now the technical advancement in the new ones makes it worth buying. Thanks to Medininja team for the perfect product. 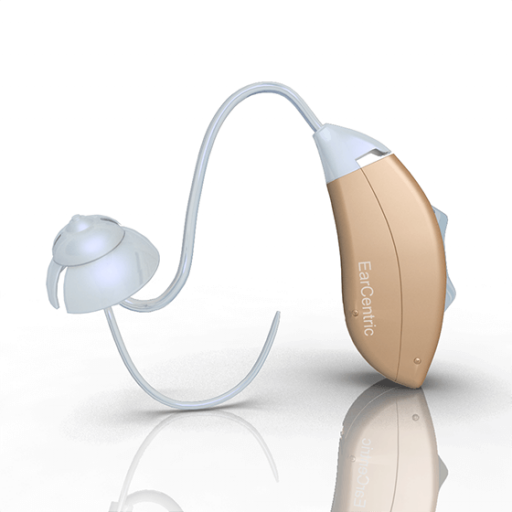 These Earcentric Smart Mini BTE hearing aids are so worthy you will surely want to take them home to meet your father. I am using mine since 3 months and they are so subtle and comfortable on my ear, brittle in volume and quite easily taken care of. The after care service is clear, professional and spot-on in their instruction manual. Medininja know their device very well and I have no words how they people go at par to help people like us in the world. 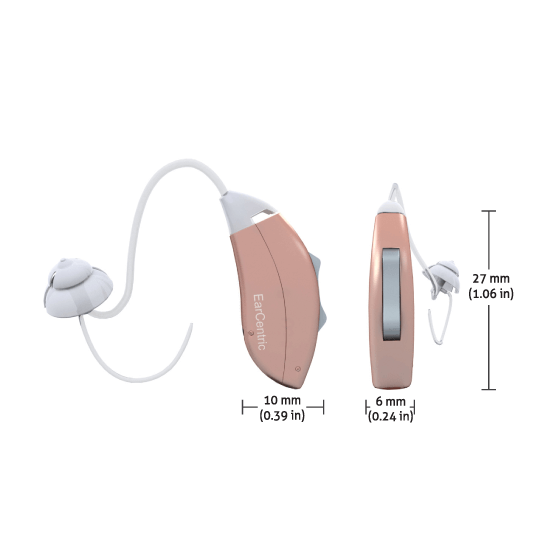 I would highly recommend this company’s hearing aids to anyone who is looking for a great hearing aid at a reasonable price with the best product quality. I was looking for an affordable yet high quality hearing aid and found these while going through several advertisements and reviews. I enrolled for the trial without a second thought and luckily, these Smart Mini BTE hearing aids were perfect. They have the right quality, price and machines that can make anyone’s life easier. I am so happy that I did not have to spend thousands on hearing aids. Hi, I have got my Smart Mini BTE hearing aids two days ago along with all the instruction manuals. I am very happy with these hearing aids. These aids have exceeded all my expectations. Yesterday, since I got up I wore them all day long till the night before I went to sleep. They fit amazingly well and I get used to them easily. Yesterday, I was busy the entire day in the meeting and was astounded about what I was missing. At home, for the very first time I could hear everything on the TV. In between, I noticed one thing than the squeaker of my dog’s toy should be retired now. I haven’t realized this before how irritating its voice is. You have an outstanding customer support service…far beyond my expectation. They are great with the information provided and there was no delay in their response. Amazing job done, thanks a lot and I highly recommend Medininja hearing aids. Thank you for providing us affordable hearing aid at good quality. It really works well. The user's manual is a big help, especially in installing the tube.